Air Humidifier,Air Purifier, Aromatic Therapy Machine (3.5 Liter Big). 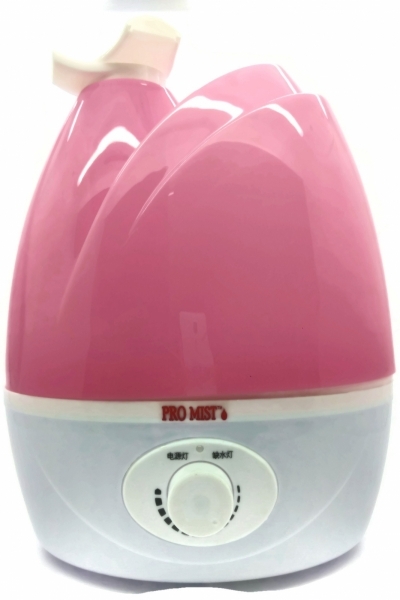 *Powerful Dual Ultrasonic Air Fresh Humidifier Purifier Aroma Diffuser. *This works as a air humidifier, air deodorizer, air purifier, air revitalizer, air sanitizer, aroma therapy and fragrance machine with its own motor. *Simply fill the water tank with water 3.5 Liter and add some aroma to improve the smell of the air. *It runs quietly in the background and keeps your air smelling good fresh and clean. *Do you know how clean the air smells after a rain storm? It works similar to that by using a water bath to clean and purify the air removing odors and the humidifying feature works great for dry skin and allergies. 7.Multipurpose, suitable for office, Bedroom and etc. 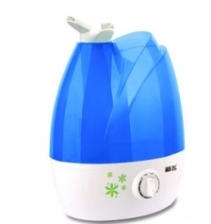 Crane Cool Mist Humidifier provides additional comfort to cold symptoms, dry itchy skin, and chapped lips. The whisper quiet humidifier operates on a low power consumption providing min. 10 hours of moisture from a removable water tank. Includes an automatic shut off safety feature when water tank is empty. The Dual Head Ultrasonic Extra Silent Humidifier is a virtually silent unit which humidifies and revitalizes the air. The Dual Head Ultrasonic Extra Silent Humidifier can be adjusted to your requirements with its variable spray control. The Dual Head Ultrasonic Extra Silent Humidifier has a 2 way directional nozzle allows for broader mist coverage and the unit is virtually silent during operation. 1 to 1 Exchange New Set Within 7 days from the date of received the product of purchase for manufacturing defect. (T&C applied) Guarantee!